Fleet, port and warehouse management are the key activities in logistics. To address these three areas, NEXCOM offers three series of vehicle computing and display solutions—the Vehicle Telematics Computer (VTC) series, the Vehicle Mount Display (VMD) series, and the Vehicle Mount Computer (VMC) series—each with a customer-driven design to ensure needs are met. 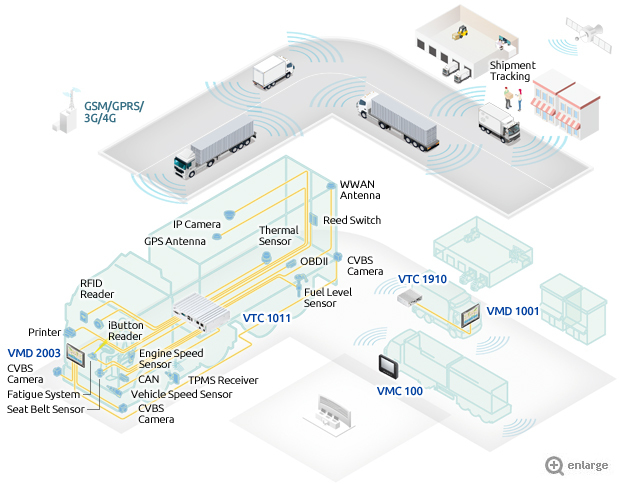 For example, the VMC series implements GPS, RFID and wireless functions to allow precise tracking and control of forklifts. 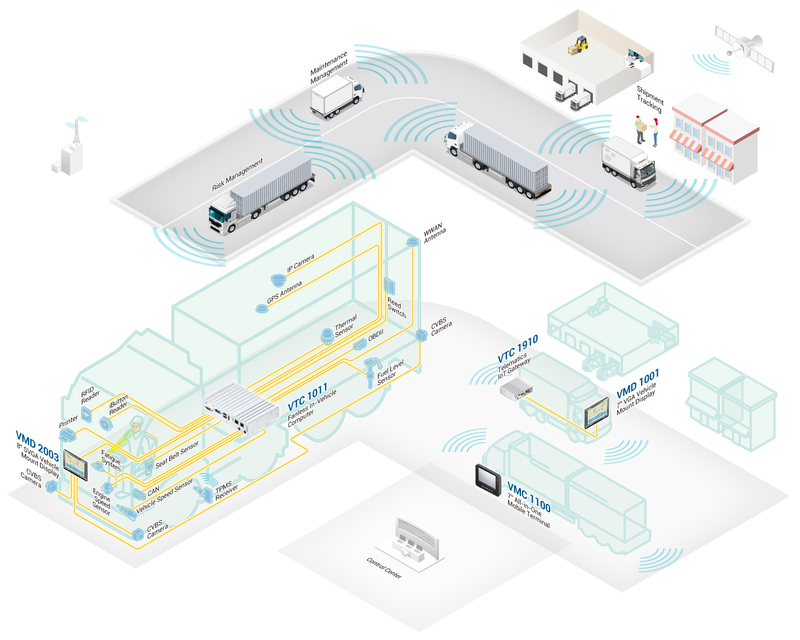 Operators can take advantage of this accurate location tracking to calculate which route can transport goods in less time, which can also result in less fuel consumption. Additionally, the RFID function can assist operators in the administration of inventory, improving accuracy and accelerating workflow.